A new opportunity to engage with and market to fans is rolling out to Facebook business pages! 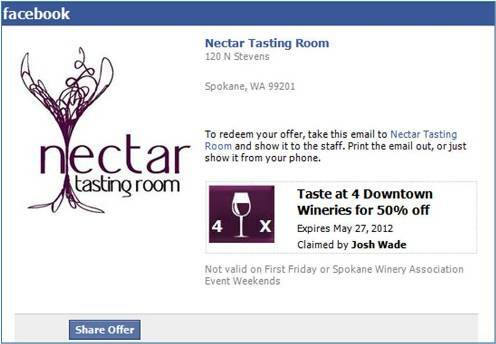 Facebook Offers is a way for businesses to reward likes with special deals and promotions. The offer will show up as a status update on your business pages Timeline and in the newsfeed (and ticker) of people who like you page. Fans can claim the offer with a simple click of “GET OFFER.” Once this is done an email is sent to the user instructing them to print the offer and show it to the merchant or to show the offer from their mobile phone! With 50% of Facebook users logging in from their mobile phones, imagine the possibilities of direct instant marketing to those on the go. Make it compelling and unique for your fans. This is marketing that you can track the immediate ROI of! How many ads can you do that with? Reward your fans with specific and timely offers. Make your offer clean and simple – $25 off of $100 or more! Save 30% on all Spring Fashions. Buy one sandwich and get the second for FREE. Use an eye catching image. Don’t just use your logo, share the product or service that users are getting. Re-share the offer before it expires. Keep the life of the post continuing by sharing it again when the offer is close to expiring or reaching its limit. Pin the offer to the top of your timeline (click the pencil icon and select ‘Pin to Top’ – This will keep the offer at the top of your Timeline for 7 days while you continue to post other status updates. 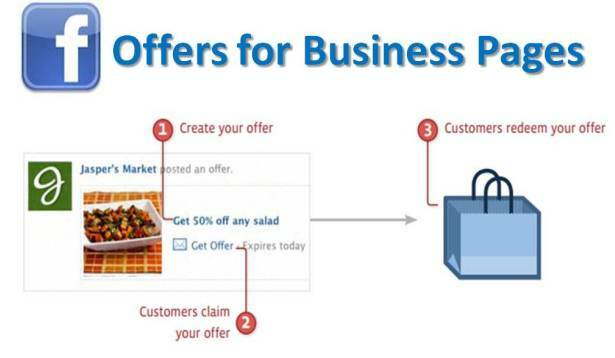 The whole concept of Facebook Offers excites me because it’s measurable, there are no specific upfront costs (unless you choose to promote your offer through Facebook ads or sponsored stories), and it increases the brand’s reach with viral organic reach to potential new customers as others see the offer claimed by their friends. As of today my first offer has been claimed 75 times. Now, I’m curious what percentage of people will come in and redeem the offer? The true test will be the motivation to action, but all it cost me about 2 minutes of my time. 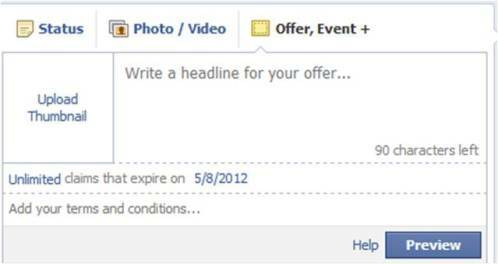 Visit the Facebook Offers help page for all the details and answers to frequently asked questions.